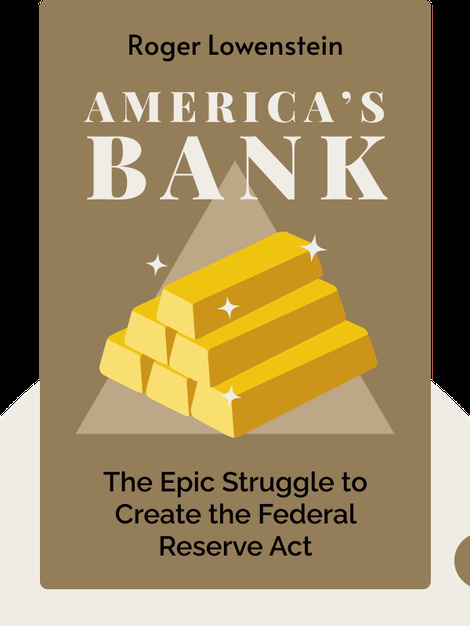 In America’s Bank (2015), you’ll discover the gripping story of the US Federal Reserve, or “Fed.” These blinks trace the history behind the development and unification of the American banking system and show the complex web of interests and players that continue to shape the system today. 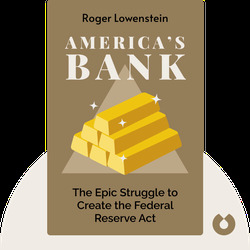 Roger Lowenstein is a journalist who has contributed to the Wall Street Journal, the New York Times Magazine, Fortune and other publications. He has also written a number of books, including The End of Wall Street and Origins of the Crash.